January 2013 Press release 2013 LEARNERS REDISCOVERING ROAD TO FITNESS It's a new school year filled with fresh exciting challenges, like the seventh Kellogg’s® Health of the Nation 50-Hour Sports Challenge, which gets 5,000 young learners back 'on the ball' by keeping a ball in motion for 50 hours. Organised by national youth sports development agency Sporting Chance, the fun-filled Challenge aims to inspire a lifelong passion for exercise and sport. According to coordinator Brad Bing, the Challenge is a step in the right direction towards reaffirming an active lifestyle amongst South African youth, a lengthy process which is now underway, which is benefitting from both corporate and government support. 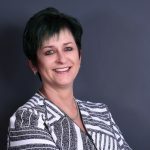 "The fitness of an entire generation of South African children has been compromised since physical education was significantly downscaled in the national school curriculum in 1999, and it will take another seven years before the reintroduced physical education programmes become fully functional, following comprehensive teacher education. Research has shown that children develop healthy habits by the age of 12. “If you’re not playing sport or leading an active and healthy lifestyle by then, the chances are that sport and physical activity will not feature in your adult life,” says Bing. Explaining the origin of the Challenge, Bing said that a 2004 study revealed that an alarmingly large percentage of South African children were already facing probable obesity-related health problems. "It was obvious that we needed to kick-start an awareness of the importance of exercise and living a healthy lifestyle, which we hoped would grow into a passion for sport and physical activity." ‘There is a need for urgent attention from parents, teachers, organisations and other authorities to address the problems of childhood nutrition and physical activity. "Balanced nutrition and healthy eating combined with exercise are the cornerstones of Kellogg’s® Corn Flakes . . .
Longridge wine estate had the opportunity to serve their wines exclusively to some of the country’s top sports personalities during the recent ten year anniversary celebration of the Laureus Foundation South Africa. The function, held at the Sports Science Institute, marked ten years of the foundation’s existence in the country as well as the graduation of the first YES (Youth Empowerment through Sports) team leaders. Attended by dignitaries such as Laureus chairman and former Springbok player and team manager Morne du Plessis, master of ceremonies and presenter John Robbie, academy member and adventurer Mike Horn and a host of Laureus ambassadors, the event celebrated the powerful change that sport can bring to the world. Amongst the ambassadors were Protea captain Shaun Pollock, swimmer Natalie du Toit, Springboks Schalk Burger and Bryan Habana as well as extreme athlete Ryan Sandes, Bafana Bafana captain Lucas Radebe and boxer Bay Jake Matlala. The audience were inspired by motivational speeches by Mike Horn, who is widely considered one of the world’s greatest modern adventurer-explorers and Paralympic swimmer Achmat Hassiem. 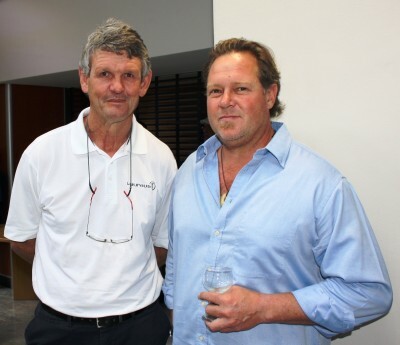 Horn reiterated the message behind Laureus by emphasising that hope and skills can create significant change. “You don’t have to be a champion to be the best, just be the best that you can be. Nothing is impossible – possible is you and me!” According to Longridge winemaker Jasper Raats, this was an exceptional cause to support. “We firmly believe in becoming involved with campaigns that empower communities and definitely support the ethos behind the Laureus Foundation. We’ve had first-hand opportunity to see the difference sport can affect in a community when we established the Longridge United soccer team in 2007. The team consists of Longridge staff and members from the surrounding communities and belongs to the Stellenbosch Soccer League. They have performed consistently well and had an exceptional year by finishing at the . . . The fundraising efforts for the official race charities of The Unlimited Dusi canoe marathon got off to a good start and even earlier than last year. The Unlimited Child, SPCA and DUCT (Dusi Umgeni Conservancy Trust) will benefit from the charity batch of this iconic race. The charity batch online auction has already received nearly R80 000 in bids with four weeks to go before the start of the race. The leading bid of R19300 is currently being held by K3 paddling partners Donovan and Matthew Baney and Etienne Nel. Competitors can now bid online at the official race website www.dusi.co.za to secure an early daily start. The hammer will go down for final bids on 1 February 2013. Almost 1700 paddlers are expected to start each day of the epic three-day event setting off in staggered start batches of 60 paddlers from 06h00. Paddlers in the last batch could start as late as 11h00 when the heat and humidity in the Valley of a 1000 Hills will definitely take its toll. Race organisers have made the fifth batch, which start as 06h30 daily, available for the charity batch auction. The top sixty bidders will secure their places in this batch, which could prove to be a huge competitive advantage. When the charity auction concept was first launched in 2003, a total amount of R60 000 was raised for the race charities. This has grown incrementally year on year and in 2012 the grand total reached over R300 000. 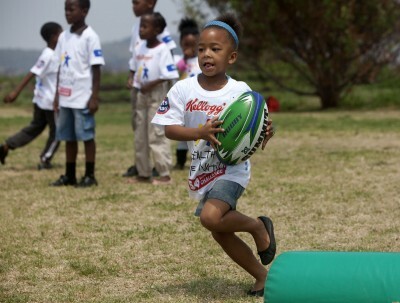 The organisers are hoping that the fundraising efforts will exceed R400 000 this year. All the proceeds of the charity batch auction go to non-government organisations working in the areas surrounding the race route, such as early childhood development intervention group The Unlimited Child. This non-profit agency has touched the lives of over 22 000 children by providing educational toys and training more than 900 caregivers at 310 crèches in the region. 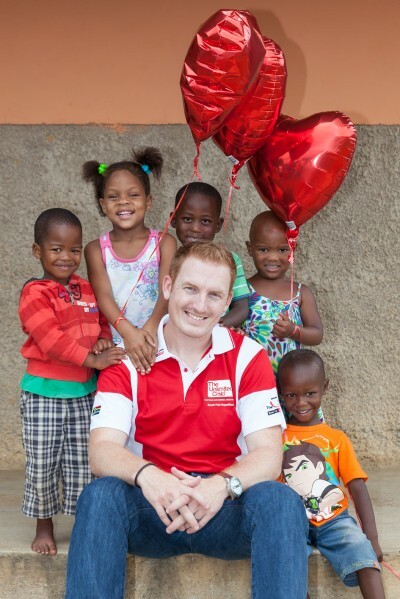 5fm sport presenter Sias du Plessis has again pledged his support to the charity and will be racing in the . . . The cat is out of the bag, Aden Thomas has been appointed as Heart 104.9FM’s brand new Breakfast Show host! A born and bred Capetonian, his voice is one that is familiar in the radio industry. A qualified journalist, he started his radio career in Johannesburg. He’s been producing and presenting radio for twenty years, across both talk and music formats. He was also a journalism lecturer for six years, and is currently involved in training broadcasters at a community station level. 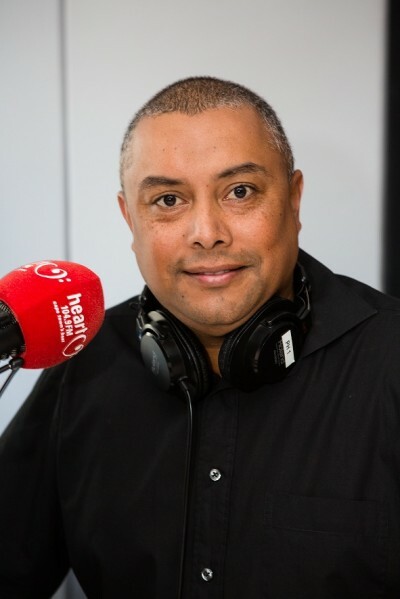 Heart 104.9FM’s Managing Director Gary Petersen says, I feel incredibly privileged to welcome someone with such an impressive track record to Heart 104.9FM. Aden is a well-known and much-loved personality, and were all looking forward to making great radio with him. I am delighted to join the Heart 104.9FM team, says Aden Thomas. Heart 104.9FM is a vibrant station and is constantly involved with the community. I am looking forward to interacting with the listeners and bringing them the latest music that they can enjoy listening to whilst getting ready to go to work or driving in their cars. URL: http://www.1049.fm Twitter: @Heart1049FM Facebook: Heart 104.9FM YouTube: Author: Ameerah Chhotoomia from Heart 104.9FM. Originally distributed by MyPR.co.za. No of Images Uploaded: One To gain access to One image/s please Like, Tweet or +1 this article: [l2g] Images: Aden Thomas photographed by Andy Lund [/l2g] . . .
Raats Family Wines continues its incredible track record in Robert Parker’s highly regarded The Wine Advocate with all his wines scoring over 90 points in Neal Martin’s 2012 overview of South African wines. 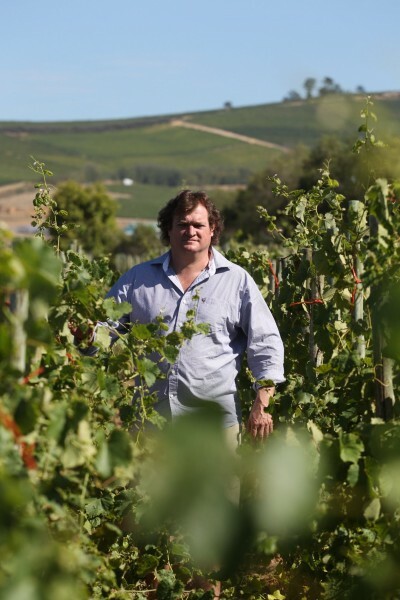 In his report South Africa: The Cape Crusaders, Martin enthusiastically proclaims South Africa as the most exciting New World country currently on the international wine scene. He ascribes this to a new generation of winemakers and credits their fortitude, tenacity, talent and determination to create South African wines true to their vision for some outstanding wines. Martin selected five Raats wines in his listing of high quality, individual, limited production wines that are heralding a bright wine future for the country and describes the Raats portfolio as “a strong, but small portfolio with beautifully crafted, thoughtfully created wines that showcase South Africa at its best.” The 2009 Mvemve Raats De Compostella topped the list with a whopping 96 points. Its preceding vintage scored one of Neal’s highest scores and he considers the 2009 a worthy successor and one of South Africa’s finest wines describing the Bordeaux blend as “reticent at first, it unfurls like a burlesque dancer on a go-slow protest to reveal blackberry, fennel, warm gravel and a touch of mint that is beautifully defined.” The 2010 Raats Cabernet Franc and the maiden vintage 2010 Raats Dolomite Cabernet Franc both scored 92 points. Martin described the Raats Cabernet Franc as intense, yet well-defined and focused, while he lauded the great precision on the nose of the Dolomite, which makes it “just a delicious Cabernet Franc.” The 2011 Raats Old Vine Chenin Blanc, which is crafted from three different vineyards with vines older than fifty years, impressed with its “intense ripe nose, nice balance on the palate and impressive precision and focus on the taut dry finish. It is complex, beautifully balanced and a great example of top South African Chenin,” wrote Martin. The 2010 . . . The 2nd Annual OPEX Africa 2013 focuses on the new order in banking operations marking operational excellence in banking by enhancing technology and security systems and renewing the processes to serve clients better and thus ensuring valuable results through process efficiency. The African banking sector is set to attain new levels of achievement, it is the fastest growing economic region in the world. With the help of operational excellence, banking professionals can establish stronger customer relations and provide exceptional customer service in the African region. 2nd Annual OPEX Africa 2013, to be held on 10 - 11 April 2013 in Johannesburg, will provide a platform for COO, CIOs and CEOs who will discuss the various aspects of operational excellence. The banking sector in Africa is set to become more organized with streamlined operations, having reduced operational cost and by offering more innovative and tailor made products through conventional as well as robust and innovative electronic services & distribution channels. African banks attempt to implement effective centralization processes considering the technological challenges. These banks aim at very high level of operational excellence to keep a balance between centralization and branch autonomy. OPEX Africa will focus in the new order in banking operations marking operational excellence in banking by enhancing technology and security systems and renewing your processes to serve clients better and thus ensuring valuable results through process efficiency. The importance of customer engagement for an organisation will be explained and presented by Raj Singh,Chief Operating Officer of Chase Bank. Singh, with the help of relevant case-studies will elaborate on trend of service quality and level of personalization as a lead catalyst to re-build customer loyalty by simultaneous growth of revenue and wallet share. One of the panel discussions entitled - “Banking a Diverse Market – . . . Since iTunes was launched in South Africa in December, numerous South African musicians have taken advantage of a global audience by uploading their original music onto one of the world’s biggest online music stores. 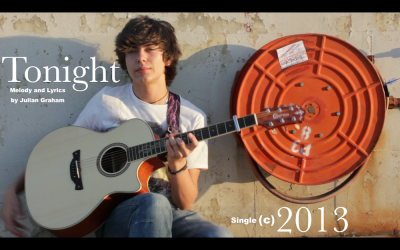 One such original artist is Julian Graham, whose single “Tonight” is proving popular locally and in Europe and the United States. “iTunes has the advantage of taking fresh talent and putting it in the global spotlight. It's now so much easier to share my music and that's everything musician's need right now ,” says Graham. “I have a huge catalogue of music purchased on iTunes since early December that is world class and previously unavailable to me. I have also discovered a broad range of South African musicians that I never knew about before.” Graham’s hit “Tonight” is available for download at https://itunes.apple.com/za/album/tonight-single/id591800869?ls=1 for a nominal fee of R6.99. Graham is studying music at Berklee College of Music Online and is using the profits from the sale of his song to fund his tertiary education. URL: http://www.youtube.com/julezg101 Twitter: @julez4music Facebook: https://facebook.com/juliangrahammusic YouTube: https://www.youtube.com/watch?v=Eg_nGAC4LTA Author: Angela Graham from Julian Graham Music. Originally distributed by MyPR.co.za. No of Images Uploaded: One To gain access to One image/s please Like, Tweet or +1 this article: [l2g] Images: Julian Graham Photographer: [/l2g] . . .
Online dating is now the easiest way to meet single professionals across the world. Why AfroDater out of all the Africa’s dating agencies? AfroDater is based on where you work, they put you in touch with city singles that you see every day and think 'cor, you're a bit of alright'. AfroDater is the dating site to find love (or lust) on. No matter what city you work in, just search for someone who pops your cork, get in contact, have some sparkling repartee and arrange to meet for a date. It's that easy. And since they work in your city, and maybe even right near your office, you can just meet for a quick coffee, drink or after-work date. In summary, internet dating on AfroDater, my friend, is the fastest way to find single professionals to date. So don't just sit there - stop reading this and go and flirt with the lovely city singles all lined up and waiting to meet you for a date. Be pretty confident that after you've tried online dating on AfroDater.com, you'll never look back. 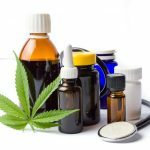 Why AfroDater works? Dating is time-consuming. There is no other way of putting it. Chatting someone up is time-consuming, making the phone call is time-consuming, and having a first date can be very very time-consuming. And look at you, my friend. You're a busy, popular person. Between meeting up with your work friends, school friends, uni friends, ex-work friends, your friends from football/rugby/uh,frisbee, the friends you kind of nicked from your ex, that person you find seriously funny that none of your other friends like, and occasionally going to the gym, you don't have a spare evening very often. And when you do, you need to do your washing and call the folks. In fact, you're so damn busy that frankly we're surprised you've read this far. (Though we do appreciate it.) And here's where AfroDater really comes into its own – their service is designed to help you find other gorgeous singles who live, work – or simply are – near you. So you can meet them for half an hour . . . The deadline for registration of Fringe productions wanting to take part in the 2013 edition of the National Arts Festival, Grahamstown is 18 January 2013. The Festival will take place from 27 June to 7 July 2013. The National Arts Festival Fringe is unique in South Africa in that no selection criteria are applied – participation in the Fringe is open to everyone. The Fringe has mushroomed in size since its inception in 1979 when a diminutive 10 events comprised the Fringe – it now consistently boasts over 400 events across all the arts genres. Disciplines include children’s theatre, film, comedy, drama, physical theatre, dance, cabaret, visual art, performance poetry, music theatre, and the full scope of music genres. All interested artists, performers, directors and producers can request application forms and information booklets from the Fringe Office, by email – fringe@nationalartsfestival.co.za, or telephone – 046 603 1103, or fax – 086 233 2119. Forms are also available, and can be submitted, via the Festival’s website – www.nationalartsfestival.co.za/artists. The deadline for registration is Friday 18 January 2013. The National Arts Festival is sponsored by Standard Bank, The National Lottery Distribution Trust Fund, Eastern Cape Government, Department of Arts and Culture, City Press and M Net. URL: http://www.nationalartsfestival.co.za/artists Twitter: Facebook: YouTube: Author: Fiona Gordon from The Famous Idea Trading Co. Originally distributed by MyPR.co.za. No of Images Uploaded: One To gain access to One image/s please Like, Tweet or +1 this article: [l2g] Images: Photographer:Photographer: Photographer: [/l2g] . 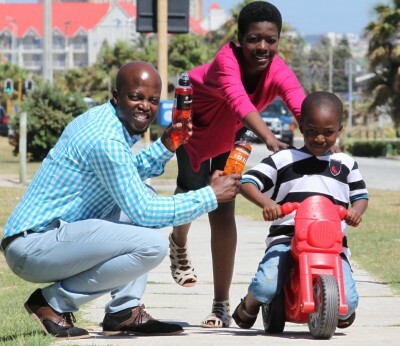 . .
Due to the demand from budding cyclists, The Herald VW Cycle Tour has introduced an “endurance” challenge for children called the Powerade 10km Sprint. Aimed at the 10 to 12 year age group, the latest addition to the Powerade-sponsored family road events effectively bridges the gap between the 21km Leisure Ride on the one side and the 2km Kiddies’ Ride and 500m Toddlers’ Dash on the other. According to event coordinator Linda Harwood, the new race fulfilled the organisers’ vision to offer a complete weekend festival of cycling. “Like the Leisure Ride, it’s an ideal opportunity for parents to interact with their kids because participants have to be accompanied by an adult.” For older teens, Harwood said the new 55km Pursuit – which replaces the existing 40km and 70km races – would include licensed U14 and U16 racing categories. “Now there really is something for everyone leading up to the 106km Classic feature race.” On the mountain bike side, she said Powerade would once again sponsor the 30km Leisure Challenge, 5km Kiddies’ Challenge and 500m Toddlers’ Dash. She said the cycle tour – which takes place in Port Elizabeth and Addo – epitomised Nelson Mandela Bay’s healthy, family-oriented, outdoor lifestyle. Powerade’s special events manager Danny Williams said it was these values that resonated strongly with the sports drink brand. “Our brand is very much about family togetherness and living a healthy, active lifestyle. We love the fact that the new event has kids riding with their moms and dads.” Williams said the 10km race was a welcome addition to the line-up and that Powerade had been a proud sponsor of the road and mountain bike family events since their inception. He said the sponsorship would once again include a financial contribution, liquid refreshment for participants and novelty items for the goodie bags. “Our two Gig Rigs (mobile music trucks) will also add to the festive atmosphere over the weekend.” Aside from the . . .